Define fire (combustion process) and the triangle of fire. Describe the radiation feedback, the chain reaction and fire tetrahedron. 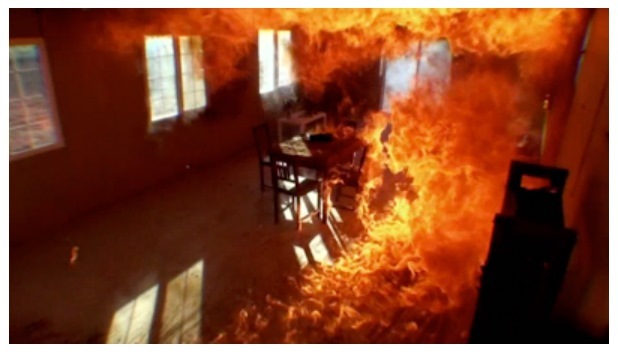 Combustion is a chemical reaction or series of chemical reactions in which fuel combines chemically with an oxidizing agent, as a result of which a sufficient quantity of energy in form of heat, flame and light etc. is released. 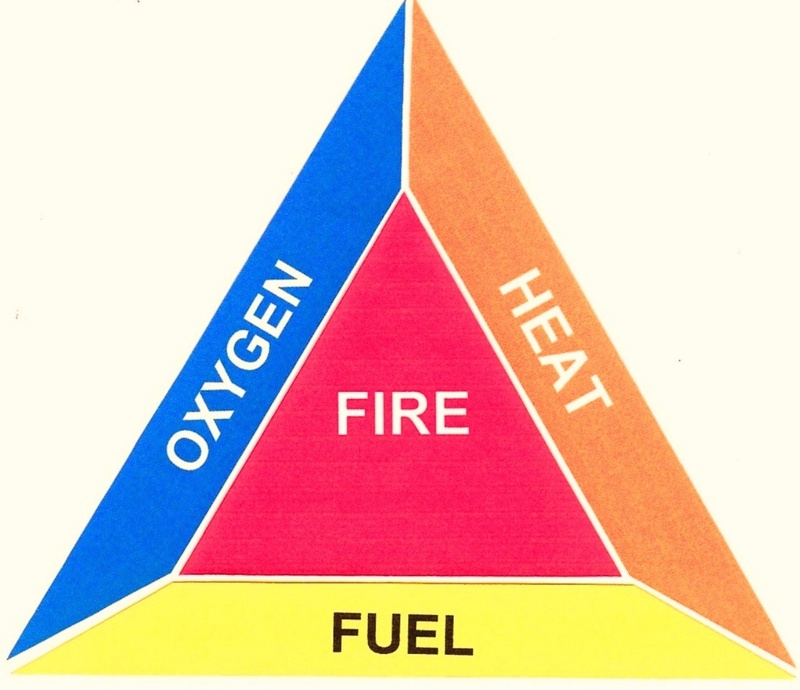 According to the law of triangle of combustion, following three basic things are necessary for creating a fire. The part of heat which radiates back to the seat of fire and further propagates the fire is called radiation feedback. 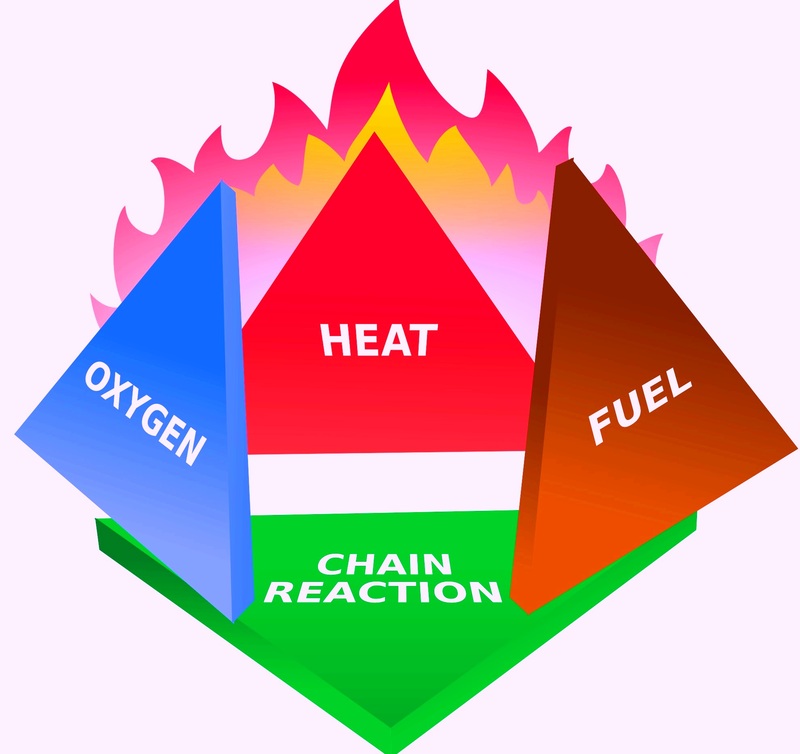 The Chain reaction is a process in which many fire triangles ‘combines each other to light the fire continuously. 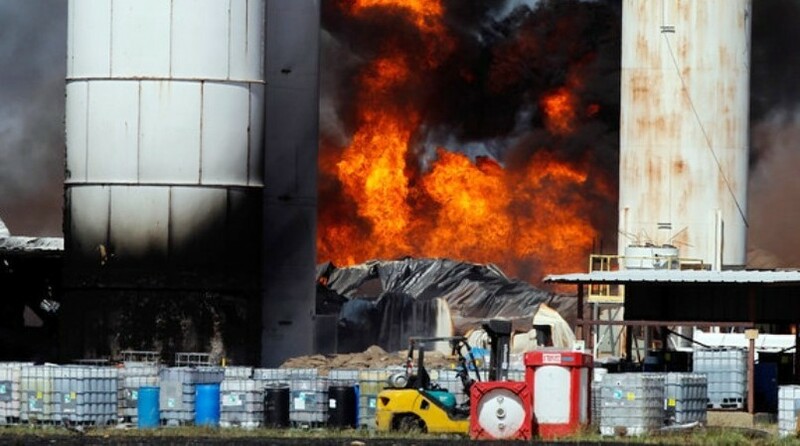 Burning is the rapid oxidation of millions of vapor molecules, during this process energy is released as heat and light which is pure energy or radiant heat, it radiates or travels in all directions thus part of this moves to the seat of fire or to the burning fuel in fire fighting. It is called Radiation Feedback. In the same time air is drawn into the area, where the flame and vapor meets. The result is that newly formed vapors begin to burn. The flame increase, thus starting chain reaction. As long as there is plenty of fuel, fire continues to grown. “Smoke is colloidal dispersion of a solid In a gas”. Particle (burnt, semi burnt, un-burnt). Smoke is generally a visible sign of fire. Smoke is major cause of fire spread. Presence of smoke creates less visibility. Inhalation can cause severe injuries. Wooden smoke (unburned carbon particles). Metallic smoke (unburned metal ore particles). Chemical smoke (unburned particles of chemical). Concentration of gases in air. Hydrogen chloride, nitrogen dioxide and phosgene. Fire due to direct contact with flame. Burns caused to the fire fighter. This is The solid that remains of fires and does not have further process to make fire increase. 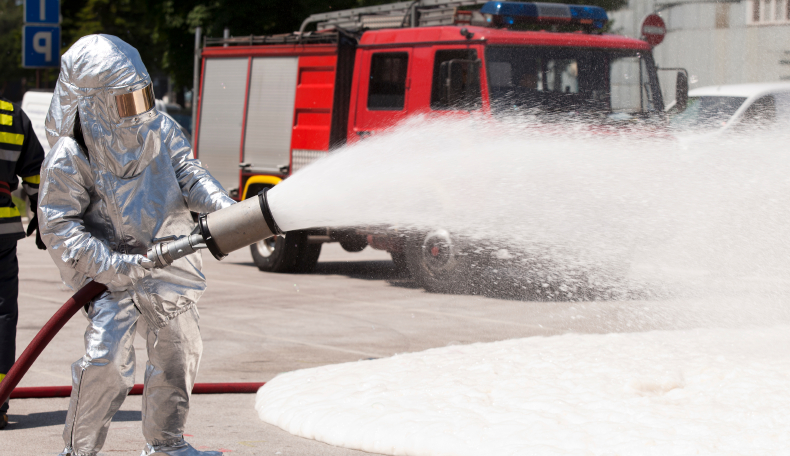 Light is electromagnetic radiation released during the fire combustion process.